Product prices and availability are accurate as of 2019-04-22 02:41:32 UTC and are subject to change. 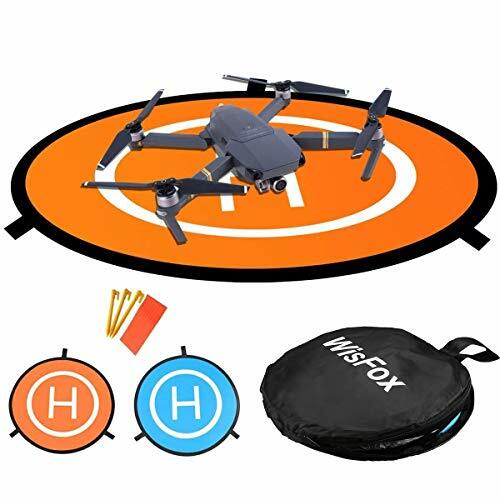 Any price and availability information displayed on http://www.amazon.co.uk/ at the time of purchase will apply to the purchase of this product.
? ?Higher Quality: It made of premium nylon waterproof material. It is portable, light weight and easy to unfold and fast-fold. 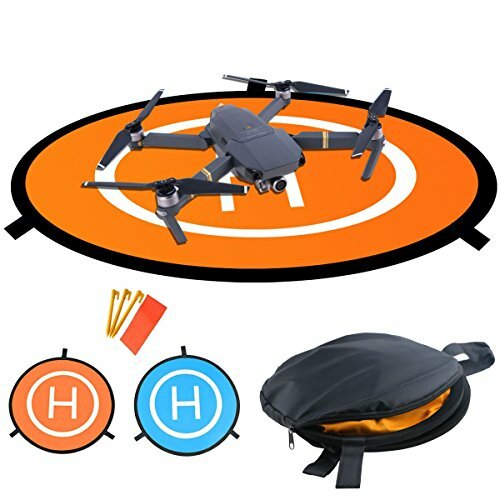 The landing pad side make of elastic material, be careful of the unfolding. 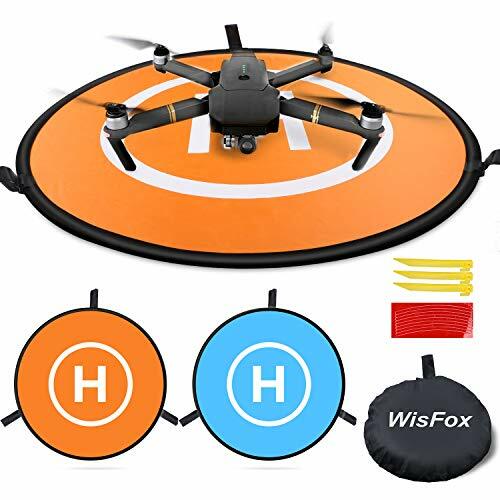 ?Landing Pad Size: Unfold Size is Dia. 75cm and Fold Size is Dia. 29cm. 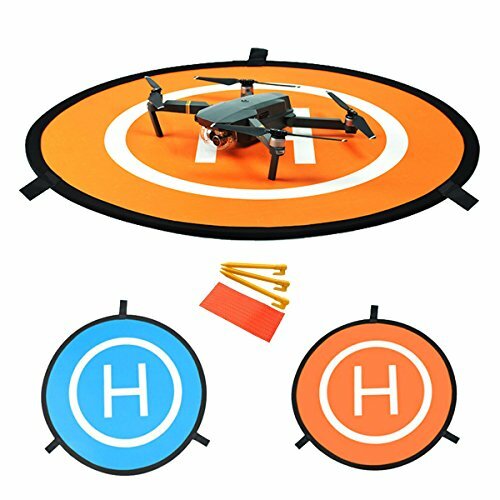 Landing Pad is suitable for many models of devices, especially for DJI Mavic pro accessories ?Fashion Design: Double colors are on double sides. Application of different occasions, Highlight the location of the Helipad. Portable and foldable design is easy to carry out. ?Thoughtful Function and Package Included: Nails help the landing pad work perfectly in windy environments. Strips are used for night flying; please paste them to the outer of the printing circle. 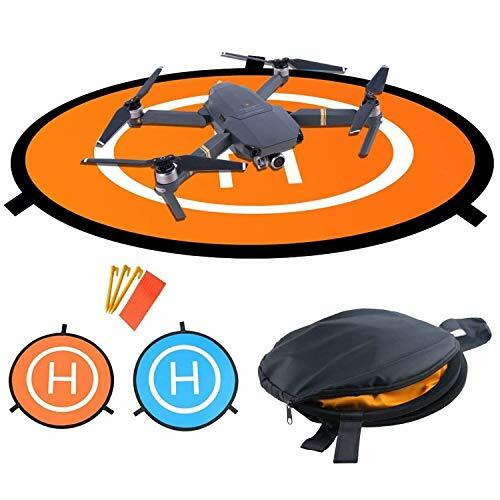 1*Landing Pad, 1*Carrying Case, 1* X Fast-fold user manual, 8* Reflective Strip, 3* Landing Nails. ?Money Guarantee: We offer best customer service. Highest quality guarantee, 100 % satisfaction or just get your money back. Totally free risk and just please contact us freely. we will do whatever it takes to make sure you are happy! Our goal is your satisfaction!